The Foundation for Municipal Development is an independent non-profit foundation. It funds research and development activities serving municipalities, publishes a magazine and books, discusses and educates. The aim is to support municipalities and regions and improve their scopes for action. The foundation allocates funding on application for research and development projects as well as grants for researchers in all stages of studies and research. Funding is allocated twice a year, in June and December. The foundation also has its own research and education projects. We also organize seminars on society and municipal sector. 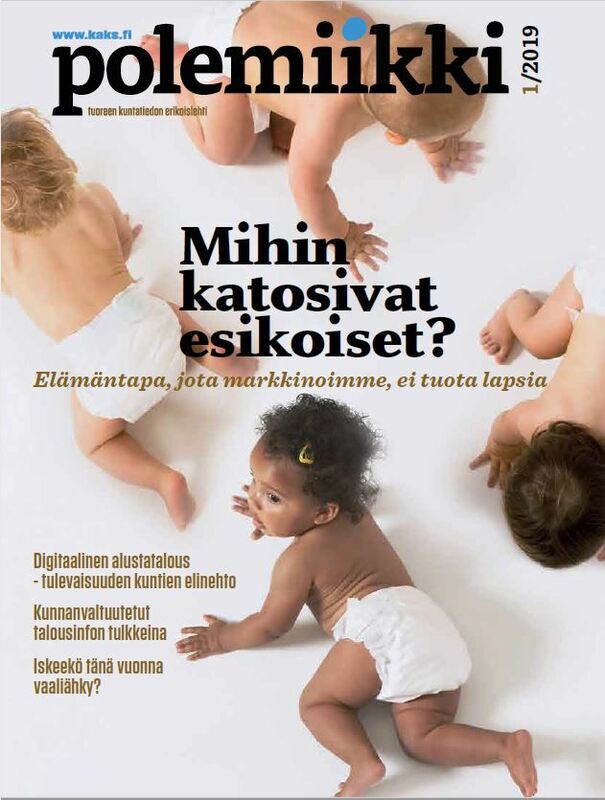 In our magazine Polemiikki (the most widely read municipal sector’s publication in Finland) and at KAKS homepage we publish current municipal information and encourage the exchange of views. The foundation has three series of publications: Polemia-series maintains discussion on current social matters, Tutkimusjulkaisut-series publishes studies and Julkaisut-series presents studies and views. The independent foundation was founded in 1990 and it funds its activities with returns on investment. The highest decision-making body of The Foundation for Municipal Development is a sixteen-member executive committee that meets approximately five times a year. The foundation also has a scientific advisory board. By following us on Facebook, Twitter and LinkedIn you get access to a wide network of researchers and decision-makers in the municipal sector. The Foundation for Municipal Development allocates funding for research projects on municipalities as well as grants for researchers in the field. Applications are not restricted to a particular field of study or discipline. The Application form will be filled in FINNISH language. 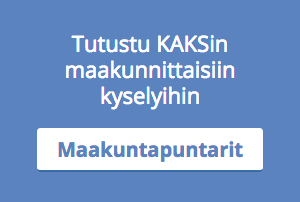 In addition, a Finnish-language summary of the research plan has to be included. 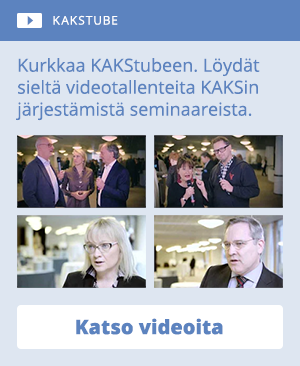 Please send your application by the deadline to kaks(at)kaks.fi along with the required attachments (including the letters of recommendation, which do not have to be signed). The title of the e-mail should be ”APPLICATION”. All attachments should be converted to pdf-files. The applicant should specify what he/she is applying for. PhD grants are typically one-, two-, or three-year-grants. In addition, it is possible to apply financing for research expenses (e.g. material and travel expenses). PhD grants include the compulsory pension and accident insurances. Postdoctoral grants are typically one-year grants. Licenciate thesis research grants are typically 2 000-4 000 euro. MA thesis grants are 1 200-1 500 euro. Applicants must list on the application form all grants received as well as any applications that are pending at the time of applying for KAKS funding. Applications must inform KAKS without delay if she/he receives funding from any other source during KAKS’ application and processing period. Travel grants may cover ordinary travel expenses (not daily allowances). They will be paid in exchange of original receipts. The scholar is expected to write a travel account on the trip.